Get Involved in Sports while Learning Spanish in Cusco! After you’ve chosen Peru as the perfect destination for your Spanish Course in Cusco and you’ve registered for your classes at AMAUTA, you will start preparing your trip to Peru. 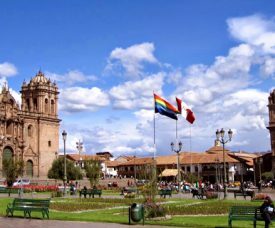 Cusco is an amazing city and there is loads of info on the internet about what to do in Cusco. If you are an active person who love sports, you might be interested in the sporting opportunities that Cusco offers. For all the athletes among us, we have prepared this list with a pretty big variety of sporting activities to get involved in while living in Cusco. 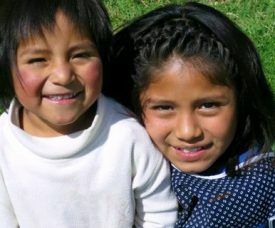 Volunteering in Peru is an amazing experience. One of our many volunteers, Lynn, did her volunteering in Peru at one of our after school projects in Cusco. Lynn did a great job, and she even prepared a ´´Luxemburg Day´´ to teach the children about her home country. The kids loved it! We asked her a few questions about her time here in Cusco and about volunteering in Peru! Where did you do your volunteering and what did you do there? I was in after school project within the city of Cusco, during the afternoons. The activities that I did varied; I played with the kids outside and inside, I taught them English, I helped out with Bible class, and sometimes we cooked together.